Read Articles about California Christmas Lights from newspapers & TV stations below. 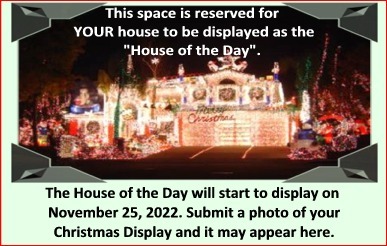 December 18, 2007 - Owner of Internet design company maps best holiday displays in region. See photo from the article. December 22, 2011 - His Holiday Message: Lighten Up! December 21, 2007 - Lighting the night sky: High-tech winter wonderlands capture the Christmas spirit. December 17, 2010 - Lights, Camera, Christmas! - NOTE that the code in your page needs to be one continuous line, and not wrapped like it is here (its wrapped due to space limitations). 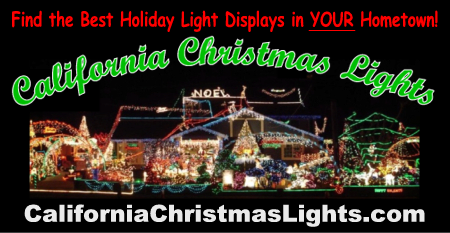 Lights of the Valley is now California Christmas Lights!